Dog News, for all the family to read and enjoy what's been happening in the dog world! 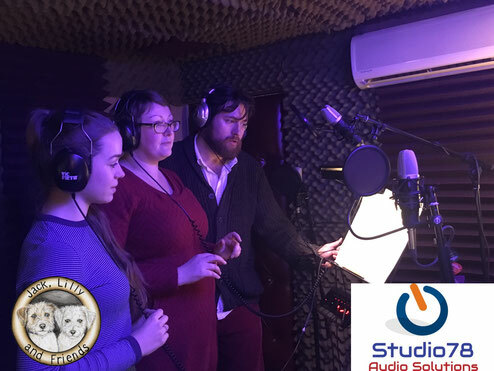 We are extremely delighted to have completed our audiobook recording for our next book in the Jack Lilly and friends series. Harry & Meghan are both serving police dogs and are extremely proud of their abilities and devotion to being a crime fighter. 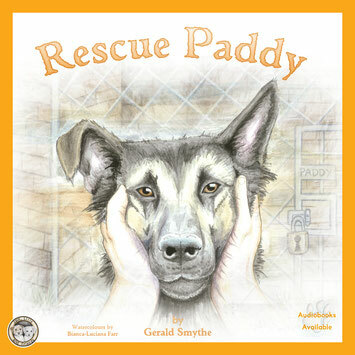 The book features their training, efforts and the skills and thrills of being a police dog. 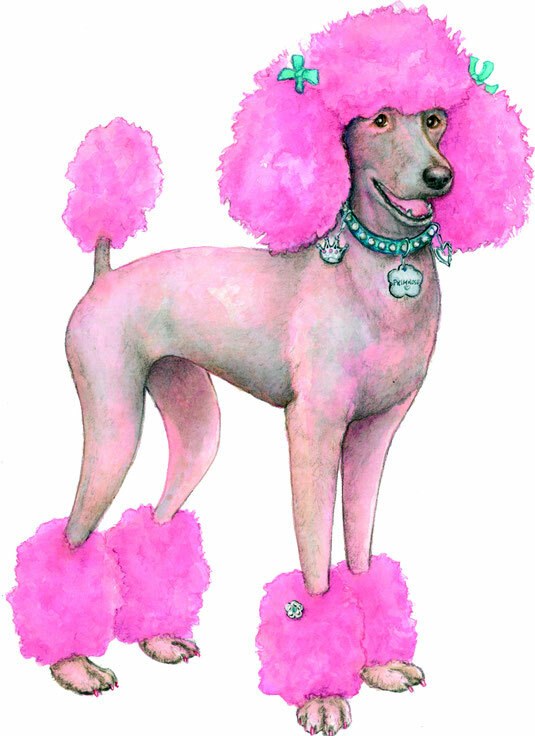 Both Harry & Meghan race to the scene to find Primrose the Pink Poodle in distress. Our latest audiobook will be available in March to download only at Amazon, watch this space for the launch date. 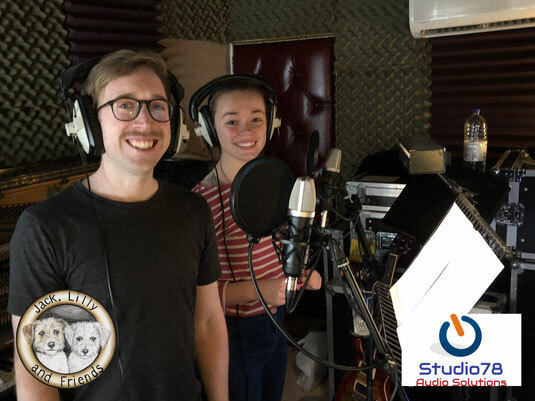 Here is Steve and Jo in the recording studio, a special thanks to them both for their fantastic work and energy. Last but not least - Thanks to Jay at Studio 78 Audio Solutions for compiling the soundtracks, the recording and his editing skills. We were so excited to launch Harry & Meghan in the Jack, Lilly and Friends series. 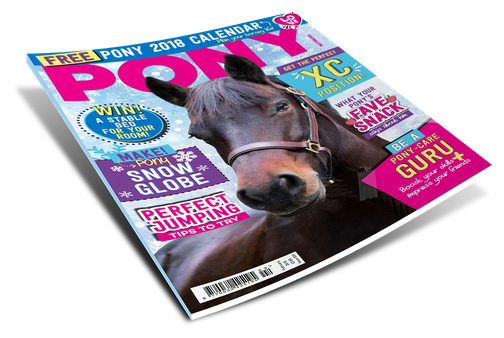 We are happy to be running a competition in this months PONY Magazine, available now at all good news agents. This is a chance for you to win some of our wonderful gifts as a bundle. Entries close 28th February 2018. Fantastic speech by Claire Pearson, these special dogs are complete life changers for people like Claire. All of the books and mugs are available on our website. 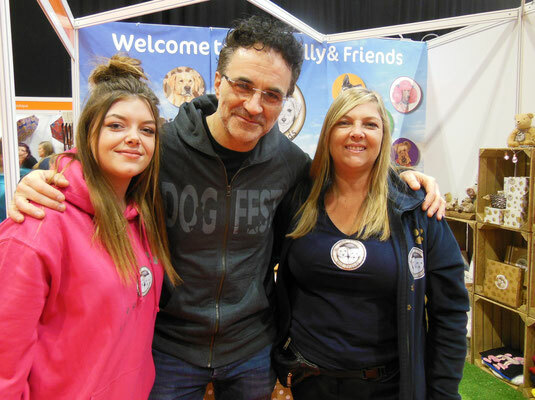 We had a great weekend at the National Pet show and it was fantastic to have Professor Noel Fitzpatrick the Supervet come and say hello to the girls on our Jack, Lilly and Friends stand. Hello everyone, we are very excited for you to meet another one of our new character`s, this is Primrose who will feature in one of the new books in the Jack, Lilly and Friends series in 2018. Primrose features in Book 4, Harry and Meghan from the Jack, Lilly and Friends series. 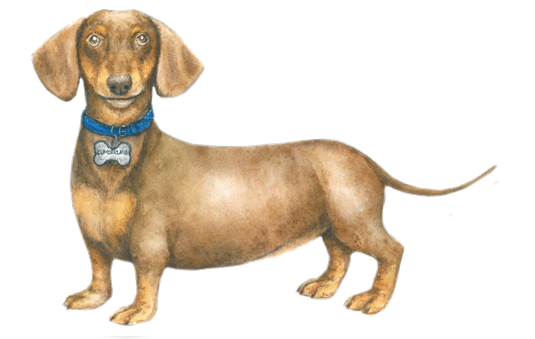 We are very excited for you to meet one of our new character`s, this is Cumberland the sausage dog, who lives in the butcher’s shop. 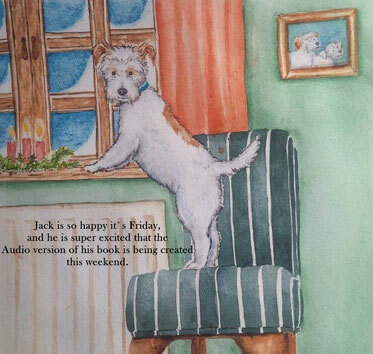 Cumberland will star in one of the new books in the Jack, Lilly and Friends series called `Give the Dog a Bone'. We think Cumberland is a very handsome dachshund. I just wanted to thank you for sending my son Oscar your wonderful books. We are very touched and we just love reading them to our 3 boys. 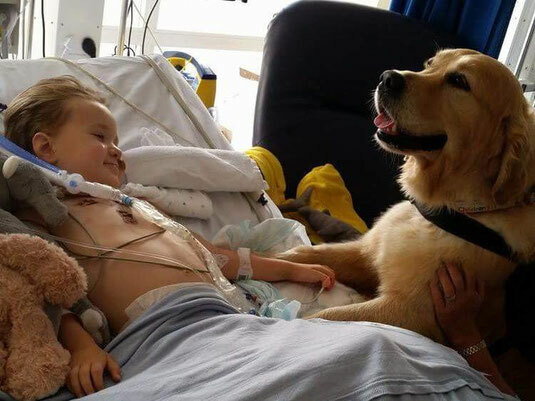 Oscar in particular loves dogs and developed a very special relationship with therapy dog that visited him on intensive care for many months and in-fact made him smile again when we were told he never would. We can’t thank you enough for sending them. 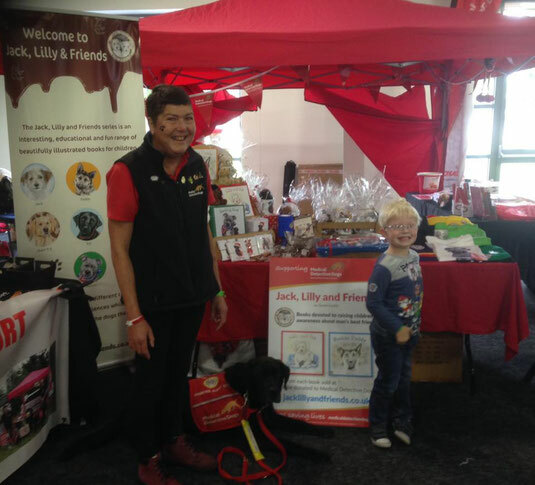 Pal the Medical Detection Dog, who features in book three “Barking Mad” and Claire his owner were so happy to meet the lovely Xander age 5, at Paws in the Park at Kent Showground, Detling. This is Elliot he has just been diagnosed with Lennox-Gastaut syndrome, a severe form of epilepsy. Along road ahead for his mum and dad. 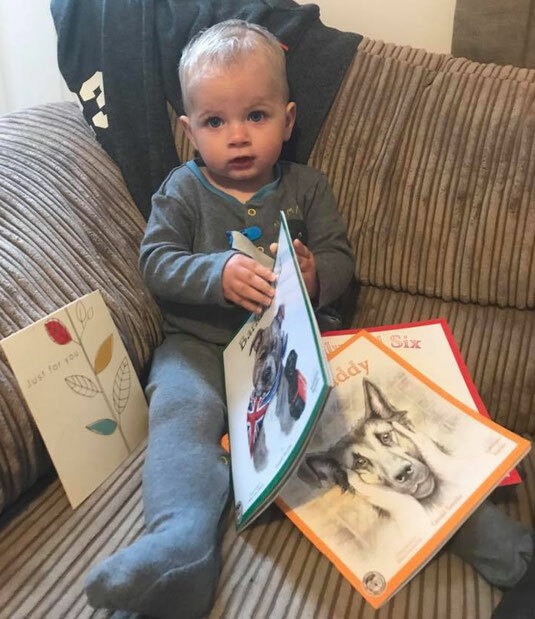 We were very happy to send Elliot, our Jack, Lilly and Friends books. We are extremely pleased to have formed a partnership with Beanstalk. "Life is better when everyone can read well and express themselves confidently. Beanstalk is a national charity that provides one-to-one literacy support to children who struggle with their reading. The charity recruits, trains and supports volunteers to provide one-to-one literacy support in primary schools. Beanstalk’s trained reading helpers transform the lives of the children they support, turning them into confident, passionate and able readers. If you would like to give children, who otherwise may not get enough regular encouragement and support, a better chance to “read, grow and succeed”, becoming a Beanstalk reading helper could be the perfect volunteering role for you. You will read, chat, play games and foster a love of reading in the children you support in this sometimes challenging but very rewarding role. From the professional training you'll receive to the regular school visits, Beanstalk is there for you every step of the way during your reading helper journey. Find out more about becoming a Beanstalk reading helper and apply at www.beanstalkcharity.org.uk." We are so excited to share with you all an illustration of Nelson and Pal, taken from "Barking Mad", the third book in the Jack, Lilly and Friends series before the launch date on the 28th June 2017. Below is a short heartwarming story about Claire and her lifesaving, best friend Pal. "When my blood sugar is dangerously falling or rising, Pal can detect this with a sniff of my breath, to alert me he will then lick me or nudge me with either his paw or head. As a result of this, he saves my life on a daily basis; he will fetch my monitor, glucose or insulin and the phone if needed. He is also aware that if I am not able to solve something, he will fetch someone to help or he can even push a panic button to call the emergency services. Pal has given me the confidence to go out alone again; we do lots of charity talks and fundraising together. In 2015 we were the Crufts Friends for Life finalists, I never imagined in a million years I would end up at such a prestigious event with Pal by my side and showing the world what an amazing companion he is. Pal and I have been together about four and a half years and he has alerted to my blood sugar changes over 12,000 times, saving my life and saving the NHS a large amount of money in paramedic call outs and hospital admissions. Most of all he has changed my whole families’ lives, they are much happier to go to work and college knowing that Pal will keep me safe, he’s also a fabulous family pet too." 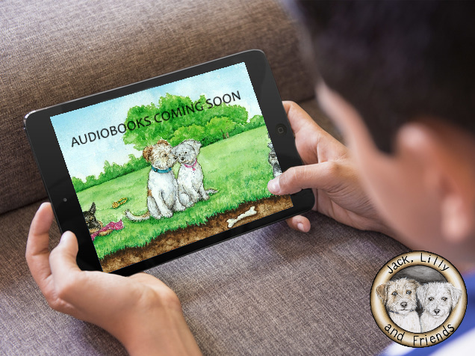 We are glad to say that progress on our audiobooks is going well and we are excited to announce that the audio version of Rescue Paddy will be released on Valentines Day, 14th February 2017. The audiobooks will be available from our shop page located here and they will also be available to purchase from amazon. Keep a look out on our page for updates and offers and also the release dates for the Audio books for the Jack, Lilly and Friends Series.. Ten steps to living happily with our canine friends, at home and outside. B- Beware of disturbing dogs eating or sleeping. E- Even if for fun, never tease a dog. D- Do not approach a dog without an owner around. O- Only stroke a dog when the owner says you can. G- Get the dog to sniff your hand, then stroke gently. S- Strange dog? Stand still, look away, cross arms. 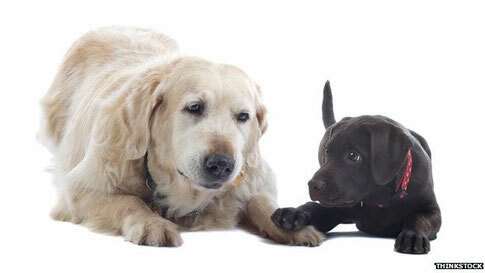 M- Move calmly and quietly around any dog. A- All that hugging and kissing, dogs do not like it. R- Remember all dogs have teeth. T- Treat dogs with respect and they will respect you. Fitzpatrick Referrals was founded in 2005 by Noel Fitzpatrick whose vision was to create an environment where it would be truly possible to marry compassionate care with excellence in veterinary medicine. A place which would allow the exchange of ideas rapidly and efficiently between human and animal medicine for the benefit of all. A place where it would be possible to push the boundaries of veterinary medicine to allow animals to regain pain free functional quality of life. Throughout the series, Paul meets members of the Battersea staff to talk about the dogs in their care, including head vet Shaun Opperman and head of canine welfare training Ali Taylor. 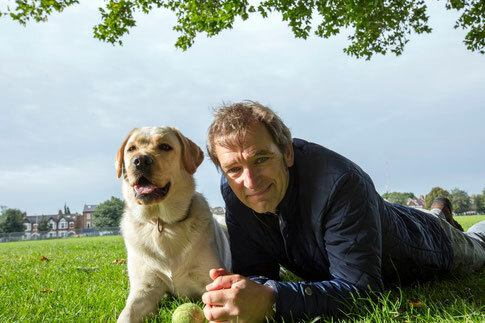 In each episode, Paul meets a few of the dogs who come to Battersea as strays or because their owners can't look after them anymore, and follows each dog's progress through the home. O'Grady commented that he had wanted to do such a show for years and that he took to it with an "enthusiasm that surprised everyone except me". Although scheduled to initially film at the Battersea Dogs and Cats Home for six days, he stayed as a volunteer for six months. 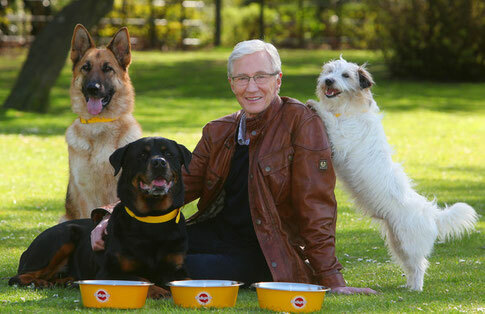 At the end of the first series, O'Grady was invited to become an ambassador for Battersea Dogs and Cats Home. 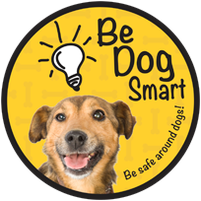 Dogs: Their Secret Lives is a great program, we all recommend watching it, it's great for the family and its also education! Mark Evans catches up with some of the fat, aggressive, and difficult dogs featured earlier this year. He re-visits the dogs and their owners to see how pets and people are getting on with following our experts' advice. To find out more about the show or watch previously programmes click here. Two Hampshire fire investigation dogs have retired after helping secure convictions against "dozens" of criminals. 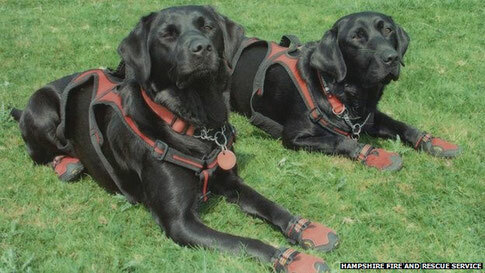 Saxon, 11, and her sister Inca, ten, have worked with Hampshire Fire and Rescue Service for a total of 18 years. 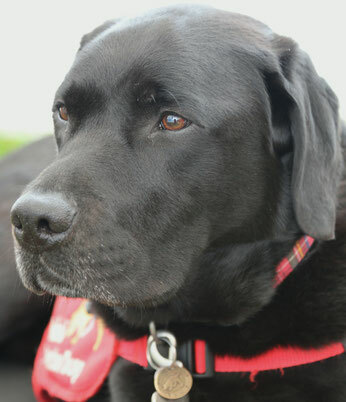 The two Labradors have attended more than 500 incidents and helped convict criminals. Working out your dog's true age used to be a case of simply multiplying it by seven. However, it's more complicated than that, and here's a handy calculator to do it for you! Igor loves his family very much, and never spent a night away from them since becoming a member. So when they left their home in Norway to go on vacation to Thailand, dad turned his kennel into a replica of their living room so Igor would be happy. Other dogs appreciated being invited to Igor’s “home,” and Hera, a Saint Bernard, visited every day. They became best friends during their holiday. Even though he had to be away from his family, Igor had a wonderful vacation. Classical music has a calming effect on dogs in rehoming centres, according to research carried out for the Scottish SPCA. 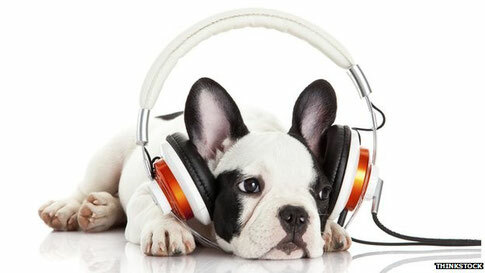 During the study, dogs' stress levels decreased significantly after the music was played into their kennels. However, the effect only lasted for a short period, with behaviour returning to normal after one day in some cases. 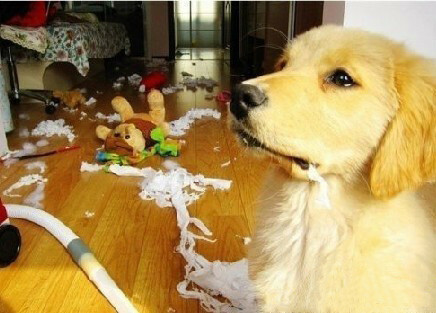 Have you ever wondered what your dogs do whilst you are out of the house? The video in the link below shows some strange behaviour from three huskies after being left alone. Many dog owners wonder what their pets get up to while they are out of the house. The owners of these three huskies decided to put up a camera and find out.